A simple and easy to cook lunch that will appeal to adults and children alike. The trick with pizza is thin dough and a blazing hot oven. Preheat the oven to it’s highest setting. Make the dough: mix the flour, yeast and salt together in a large mixing bowl and stir in the olive oil and milk. Gradually add the water, mixing well with a knife to form a soft dough. Turn the dough out onto a floured work surface and knead for about five minutes, until smooth and elastic. Transfer to a clean large bowl, cover with a damp tea towel and leave to rise for about 1½ hours, until doubled in size. When the dough has risen, knock it back, then knead again until smooth, roll into a ball and set aside, covered as before for 30 minutes to 1 hour until risen again. Divide the dough into six balls and roll each out thinly onto a lightly floured work surface until 20cm/8in in diameter (large pizza plate). 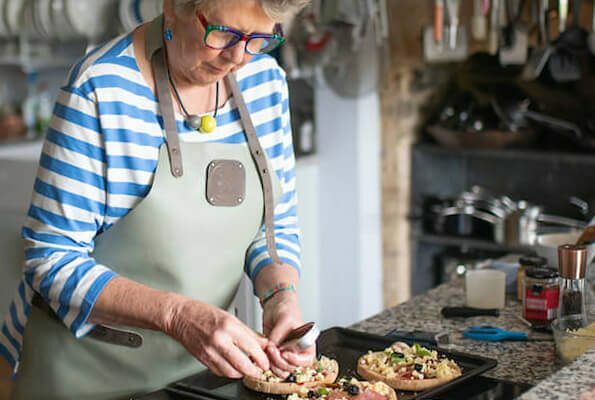 Spread very thinly with tomato paste then dot generously with tiny cubes of mozzarella, a few cut up tinned anchovies or some thin slices salami and half a dozen black olives. Sprinkle with good olive oil. Bake in a blazing oven for 6 – 8 mins til the edge is brown. 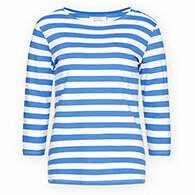 The famous Seasalt Sailor Shirt with slightly shorter sleeves. 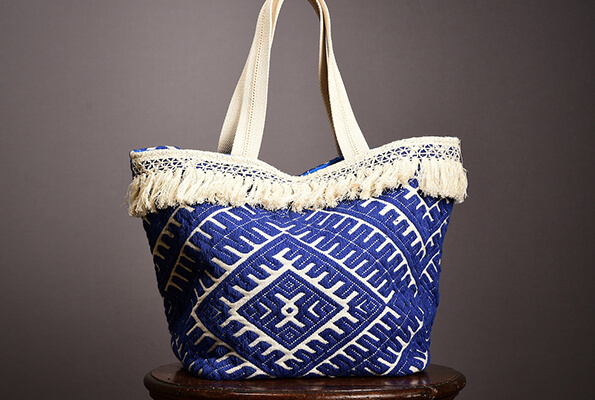 This relaxed fit top has a flattering boat neck and 3/4 length sleeves. 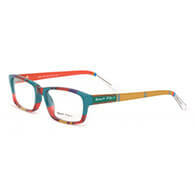 Hand painted frames available in many colour combinations. Looking closely one can actually see the paintbrush strokes and the texture of the paint. 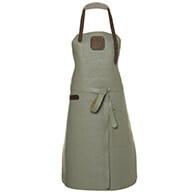 This special designed apron is available in one size made from downflow semi-vegetable leather.